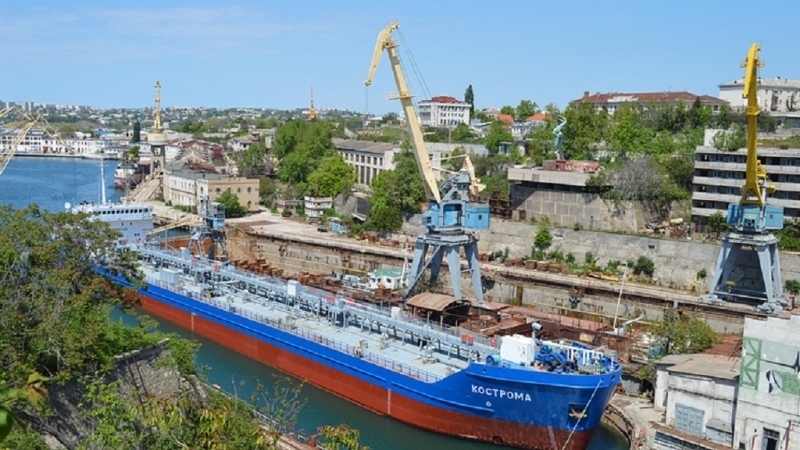 The Sevastopol Marine Plant was included in the list of companies to be sanctioned by the United States over their connection with Russian special services and the military, according to the document the US State Department sent to Congress. Reportedly, the list of organizations that may fall under new sanctions include: the Federal Security Service, the Foreign Intelligence Service and the General Directorate of the General Staff of the Armed Forces of Russia. The defense enterprises of the Russian Federation are mentioned on the list as well, among them are: Russian military export enterprise Rosoboronexport, machinery enterprise Izhmash, arms production concern Kalashnikov, Rostec, MIG, Sukhoi, Tupolev and others. Also, the State Department intends to impose sanctions against a number of individuals in the United States, who, despite sanctions, maintain business ties with Russian organizations that have fallen under restrictions. The United States explains the introduction of new sanctions as its response to Russia's actions in Eastern Europe and Syria, as well as interference in the election of the US president in 2016. August 2, the US President Donald Trump signed a bill passed by Congress on new sanctions against Russia, Iran and North Korea. The document, in particular, provided that by October 1 the White House should provide a list of individuals and organizations from the defense and intelligence sector of Russia that are subject to inclusion in the sanctions list. QHA reported that a group of US senators, including the Kremlin's consistent opponent John McCain, believes that Trump's team is delaying the implementation of sanctions against the Russian Federation.